Like most of the country, we have been in the middle of a bitter cold spell the last week or so, which has resulted in not much happening around the homestead other than protecting the chickens. More on that tomorrow. Even so, I have been blessed with another surprise shipment of seeds this week, which gave me a bit of a mystery to solve. On Thursday I received a package containing numerous bags of corn. The name on the package wasn’t entirely familiar to me, though the last name caught my attention. The corn included one I was very interested in, Texas Gourdseed, which happened to be one I have been trying to find. 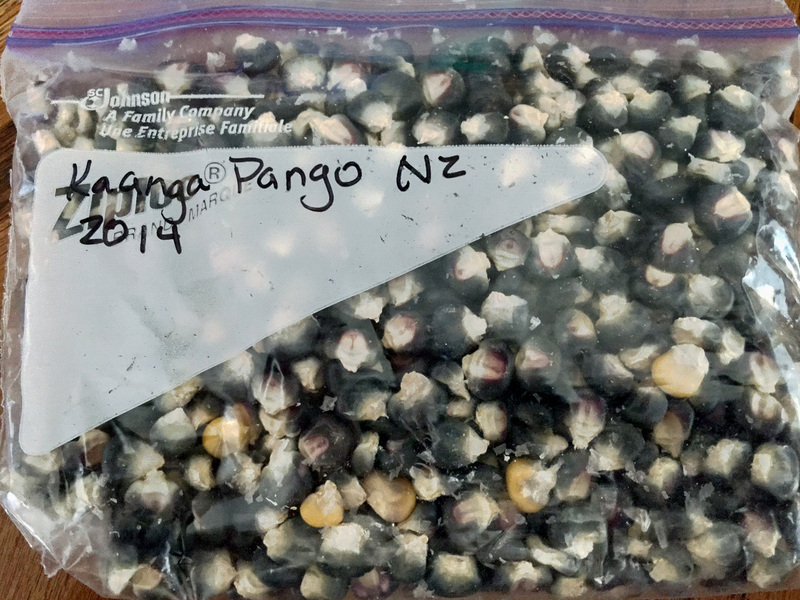 It also included Drought Hickory King, Kaanga Pango (a New Zealand corn), Cascade Maple Gold, and Cherokee White Flour Corn. After further research, each of these were corns that could be used as flour corns, which is something else I had been looking for. I headed off to a gardening forum that I frequent, and I felt confident after a few minutes of research that I found my benefactor, a very nice lady in California who knew I was looking for the Texas Gourdseed Corn, but there was still a mystery to this: how did she get my name and address? I sent her a message, thanking her for the corn, and asking how she knew my contact info, to which she replied that I had given her that some time back when I was searching for flour corn, and she had been unable to send it then. So, the mystery was solved, and now I have a ton of new corn to plant this year! Woot! The Texas Gourdseed is one that particularly interests me, and I actually already have a post written on why that is. I will make a few edits to that this week and get it posted soon. On another note, the popcorn trials are complete for the year, the results of which I am going to share in a post of it’s own. Despite some challenges in the testing of popping ability, I finally got through all my samples and have a great selection of popcorn to grow for the new year. More to come on that. This entry was posted in Chickens, Gardening, Hobbies, Pictures and tagged in cascade maple gold, cherokee white flour, corn, drought tolerant hickory king, kaanga pango, popcorn, texas gourdseed.